Sometimes in order to make progress, it is important to take a few steps back and master the fundamentals. 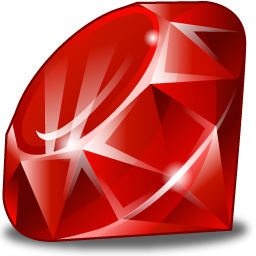 With rails, having a solid grounding in ruby is of paramount importance. Starting with the pre-course prep materials, Tealeaf gets you started on building that solid foundation. We’ve all heard of the cat and the curiosity thing! Well in my case thanks to my curiosity I am alive and rocking it out with my Ruby and Rails buddies! Ok, enough with the cheeky remarks. Earlier this year, I decided to find out what Ruby on Rails was and started googling my way into web development. Very soon I began to feel that there were myriad things that had to be mastered before I could make anything happen. However, wonderful Google also showed me the path to wonderful Stack Overflow, the open source community and the Hartle tutorial. Shortly thereafter much to my amazement I deployed my very first web app! Since then, I have made a fair amount of progress with the support of Women Who Code (SF) and RailsBridge. However, due to various time constraints, teaching myself, Ruby and Rails has been a little too slow to meet my objectives. The best way to speed up my progress appeared to be to join one of the popular classroom based bootcamps. The time and the financial constraints of such an undertaking however was not a feasible option for me. I realized that what I needed was an online bootcamp which would offer a good program and allow me to juggle within my constraints. So when a RailsBridge attendee mentioned Tealeaf Academy I decided to check it out and here I am one week into my program at Tealeaf, starting my own tech blog on Ruby and Rails. In this blog, I will talk about anything that I find interesting on my journey towards becoming a full stack developer.